Funeral services for Howard Daniel Jr., 92, of Pollok, will be held Thursday, August 23, 2018, at 10:30 a.m. at Pollok Baptist Church with Bro. Keith Bickley officiating. Interment will follow at Pollok Cemetery. 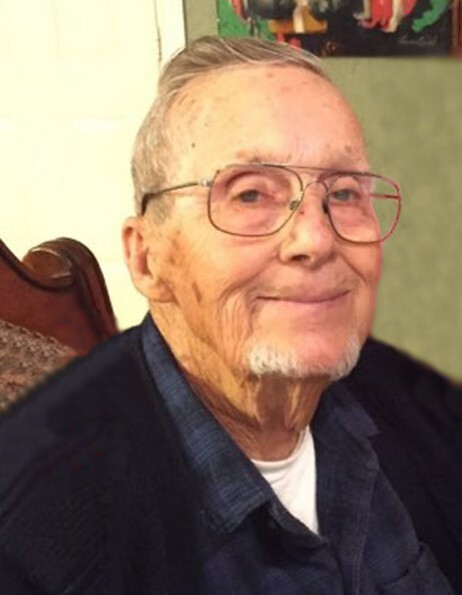 Mr. Daniel was born April 6, 1926 in Lufkin, Texas, the son of the late Howard Daniel Sr. and Evy (Cox) Daniel, and died Tuesday, August 21, 2018 in Lufkin. Mr. Daniel entered the Navy in 1943 and served active duty until 1963. He then entered the fleet reserve from 1963 until he retired in 1974. Mr. Daniel was an original crew member “Plank Owner” of the U.S.S Edisto, sailing to both the North and South Poles. Mr. Daniel also served on the U.S.S. Canisteo, among others. Mary Jane and Howard were married for 58 years, until her death in 2007. After her passing, Mr. Daniel taught himself to cook and can fruits. He tended his garden and chickens until his passing. Most every afternoon, Mr. Daniel and CD “Cuz” Daniel shared coffee and interesting conversation. He was also very fond of all animals and there was always at least one dog in the household. Mr. Daniel enjoyed fishing, hunting, and gardening. He is survived by his son and daughter-in-law, Matthew and Joni Daniel of Brenham, TX; son and daughter-in-law, Paul and Melinda Daniel of Pollok; daughter-in-law and husband, Carla and George Kelley of Huntington; granddaughter and husband, Lauren and Jacob Carter of Lufkin granddaughter and husband, Sandy and Buddy Cochran of The Woodlands; grandson, Sean Daniel of Nacogdoches; granddaughter, Carly Daniel of Lufkin; great-grandson, Karson Joseph Carter of Lufkin; great-grandson, William Sean Daniel of Pollok; great-grandson, Ethan Glen Dean of Pollok; great-granddaughter, Mariah Danielle Hilker of Cleburne; great-grandson, Zachary Ryan Hilker of Commerce; great-granddaughter, Addison Layne Cochran of The Woodlands; great-granddaughter, Kassidy Lee Cochran of The Woodlands; and special cousin CD Daniel of Lufkin. Mr. Daniel was preceded in death by his parents; wife, Mary Jane Daniel; sisters, Katherine Daniel and Geraldine Seale. Honorary pallbearers will be Johnnie Dixon, George Kelley, Jacob Carter, CD Daniel, IJ Tucker, and JC Crawford. Special memorials may be made to Hospice in the Pines, 1504 W. Frank Ave., Lufkin, Texas 75904 or to the Winnie Berry Humane Society, 1102 N. John Redditt Dr., Lufkin, Texas 75904. Visitation will be from 5:00 p.m. to 7:00 p.m., Wednesday, August 22, 2018 at Pollok Baptist Church.